Bridget Gleason is VP of Sales for Logz.io and my regular partner on Front Line Fridays. 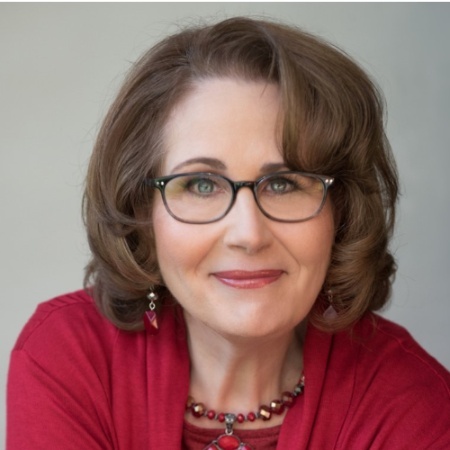 Special guest on this episode is Deb Calvert, President of People First Productivity Solutions and co-author of the new book, Stop Selling and Start Leading: How to Make Extraordinary Sales Happen. Andy introduces Deb Calvert. Deb has been working on her book for three years, starting with the hypothesis, then research with buyers, and then with sellers. Deb worked with co-authors James Kouzes and‎ Barry Posner. This book is a behavioral blueprint for sellers of sales behaviors that produce a response in buyers. These are actually the behaviors of exemplary leaders. Kouzes and Posner have been studying leadership for 30 years. Buyers have been asking for these behaviors from sellers. Buyers want us to guide them to new places and they truly lead them and inspire them. Deb explains a desired behavior from the study. It involves a needs assessment. Buyers don’t want a diagnostic assessment; they want a ‘dialogic’ needs assessment that becomes a catalyst for them to act. Your intention is the start. Are you trying to prompt the right answers from the buyer to let you come back with a proposal, or are you listening in to find out what the buyer wants, and asking natural follow-up questions? Watch for emotional cues, not just content-based answers. Probe to discover the drivers behind what’s being said. Dialog creates a bond that gets the buyer to buy in before you ever ask them to buy. Empathy is trending downward among college students since 1970. How do we break this trend? Sales managers should look for empathy and curiosity as competencies in the people they hire. Some people have natural empathy but behaving empathetically is a choice and can be learned. Curiosity and focus can be learned. Nobody will learn them if they don’t first see the importance of them. Sales job ads should ask for curious, empathetic problem-solvers. Deb coaches organizations to look for that. Deb sets an ideal of the behaviors, skills, and characteristics that top sellers exhibit and hires for them. Deb recommends using a customized assessment tool as a factor — not the deciding factor — to end the interview. In the interview, ask about past behaviors and consider them as indicative of future behaviors. B2B sellers should emulate B2C sellers. Create an experience with the buyer. Make it special and unique. Trigger an awesome, euphoric connecting experience. Deb says buyers want us to do 30 simple things more frequently than we do them now. In every contact, make sure your role is leading and not selling.